Mike Walsh is CEO of the global legal business of LexisNexis. Prior to his current role, Mr. Walsh was President and CEO of the LexisNexis U.S. Legal Markets business. He lead the transformation of the business from a provider of legal research to a solutions partner – helping law firms, corporations and governments better manage their businesses. Mr. Walsh joined LexisNexis in 2003 as Senior Vice President, Global Strategy and Business Development, where he helped oversee significant expansion into the LexisNexis® Risk Management sector. Prior to joining LexisNexis, Mr. Walsh was Director of Strategic Business Development at Home Depot. Earlier in his career, he was a practicing attorney with Weil, Gotshal and Manges in Washington D.C., spent time at General Electric, and served as a strategic management consultant with the Boston Consulting Group. 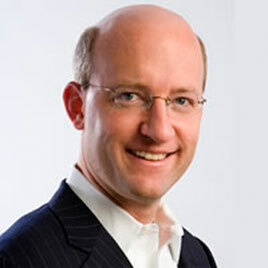 He also co-founded Infirmation.com, the third-highest traffic generating online portal for lawyers at the time, and oversaw the company's merger with Findlaw and then Thomson. Mr. Walsh earned his JD from Harvard Law School and received his BA from Yale University. He grew up in Colorado and now resides in Mamaroneck, New York, with his wife Sheila and their two children, Sophie and Deven.